Power profit program is guess what, a free binary options trading system. The images look a little different on the front page and so does the video but the template is the exact same and so is the pop-up I see on every single one of these websites. Today I will be providing a review and letting you know why I believe this is a product you should avoid at all costs. The power profit program is just like the other free binary options systems in this market. These systems are given binary options a bad name because they are being promoted by lazy marketers that have little to no knowledge of binary trading. These people make huge claims and tell us how they’re making millions of dollars but then every time we use their systems we lose all or deposits. 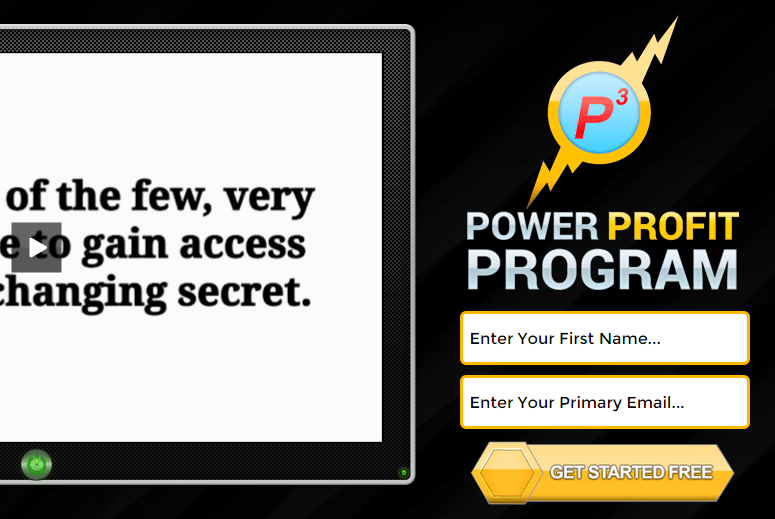 The video here on the power profit program website is just like the others. The developers of the software claim that we are one of the very few lucky people to gain access to this life-changing secret. If this was truly the case they wouldn’t be emailing thousands of people they don’t even know this so-called secret. This developer wants as many people as possible to get involved with the system so he makes the most amount of money for people depositing with his recommended broker. I’m not going to go into anymore depth or detail about the power profit program. I don’t have the time to waste on another review like this when trying to find new ways for the binary options community to make real money. I’m still having major success with tools you can find reviewed on this website and voted on by hundreds of my readers. If you have something you would like to email me about or discuss you can leave a comment below the article here or click ask John and send me a personal email. I look forward to hearing from you and I hope that you have success in the binary options market.